​If your health insurance company allows you to see providers who are not in their network, we would be happy to bill them on your behalf. However, we can not guarantee what they will actually pay for your clinician's services. We can only tell how much they will actually pay for a given service after we bill your health insurer and receive an explanation of benefits (EOB) statement from them that details their breakdown of your account. Answer: Many insurers appear to have only a few insurance products on the "Front end." However, in reality they have dozens of different plans that are customized for each company. Within companies they are also likely to pay higher level executives benefits in a more liberal manner than more typical employees. Whether you agree if this is ethical or not it is the way they write these policies. Solution: We would encourage you to contact your insurer in advance and ask them questions about your plan after reading this page and looking through our page entitled, "Insurance-Frequently Asked Questions. "​ Please note that we will help you through the process but only have so much control over what information you insurer will share at the onset of your treatment. ​​How to Make Sense of Your Out-of-Network Benefits: "It's not easy"
Many insurers typically will agree to pay for a certain percentage of out-of-network charges, for example, 80%. However, they will not pay 80% of your clinician's fee. They will pay for 80% of what they deem to be the "Usual and Customary Fee" or UCF. They define this to be the average fee charged by a particular type of health care practitioner within a geographic area. 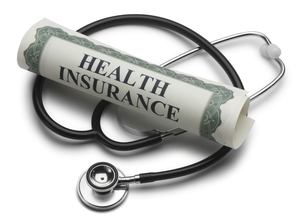 The term is often used by medical plans as the amount of money they will approve for a specific procedure. In our experience most plans grossly underestimate the market of clinician fees in the Boston Metro Area and set their UCF's very low. if your plan deems the "Usual and Customary Fee" for individual therapy to be $100,00, and they pay for 80% of out-of network coverage, then they will pay $80.00 for the individual therapy session. Since the clinician is not in a contractual agreement with your plan, you would be responsible for the full fee minus the plan's payment. ​If your Clinician's fee for individual therapy was $200.00 per session, then you would be responsible for paying the difference between the clinician's fee of $200.00 and the plan's payment of $80.00. This would result in an expected $120.00 payment for each individual therapy session.